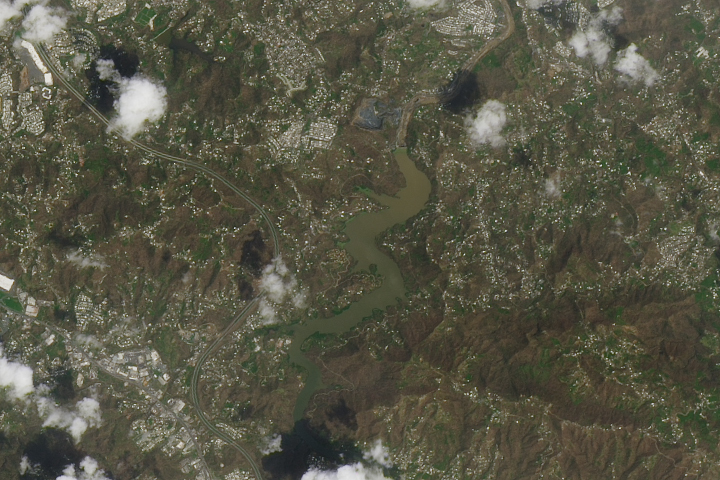 Satellites have captured several eye-opening views of human activity changing the surface of Earth. They have been used to map the world’s changing forests, the spread of impervious surfaces, and the nighttime lights of human civilization. Now University of Maryland scientists, led by Qing Ying and Matthew Hansen, have developed a new metric to measure the human fingerprints on Earth’s surface: bare ground gain (alternatively known as vegetative cover loss). 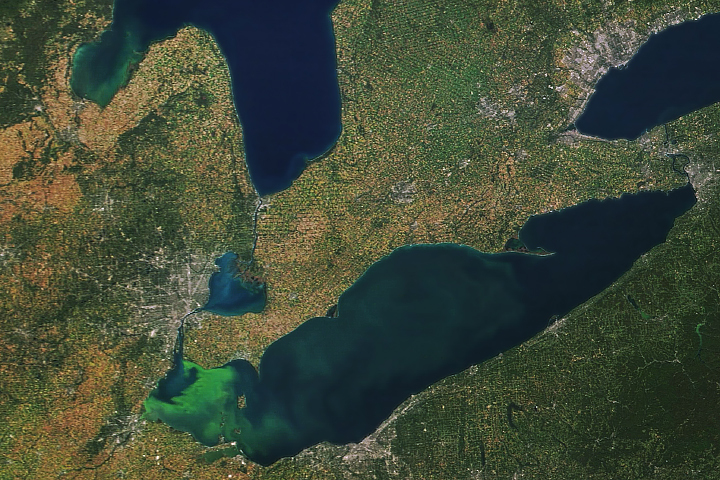 Their results show a remarkable spread in bare ground between 2000 and 2012—a global gain of 94,000 square kilometers, an area larger than Lake Superior. 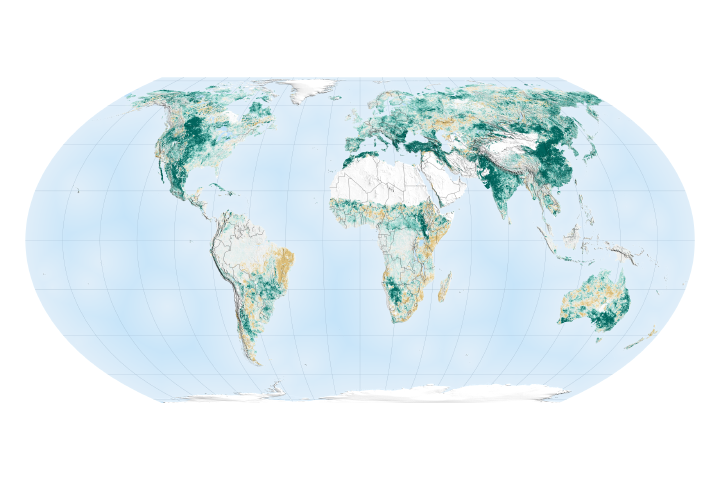 China saw the largest increase in bare ground, roughly 35 percent of the global total; 17 percent occurred in the United States. 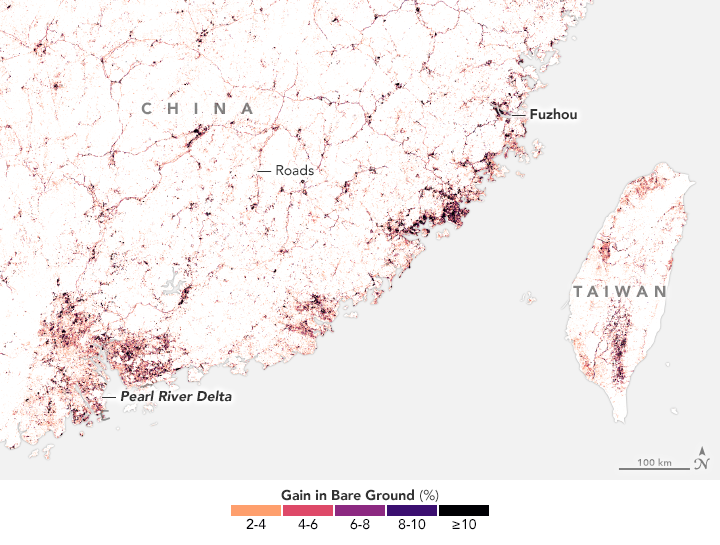 Flagging an area as “bare ground gain” means that Landsat satellites observed a vegetation loss without significant regrowth of greenery for at least three years. (In contrast, deforested areas or areas cleared for farming typically showed signs of regrowth in the months and years after vegetation was removed.) Monitoring bare ground captures key types of land use—such as mining and energy production—that are not always included in satellite-based maps of forest change or impervious surfaces. 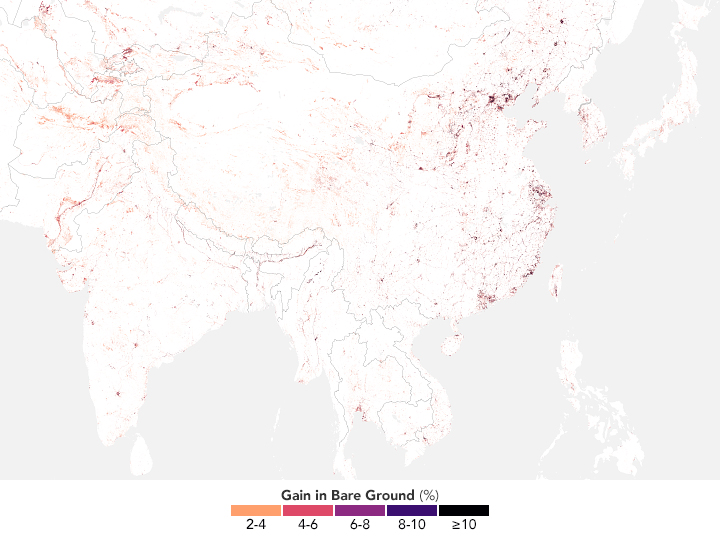 The map above depicts bare ground gain in Asia. Areas with the greatest increase in bare ground are shown in purple and black. Orange and red areas saw a more modest increase. White areas indicate no change. The map depicts the spread of development in urban and suburban areas, the creation of new roads and other transportation networks, and even the installation of greenhouses in rural areas. Bare ground caused by geologic processes—such as landslides, volcanic eruptions, drying lakes, and meandering rivers—are also captured, but such natural processes were responsible for just 5 percent of the observed increase in bare ground. Note that a few areas were potentially caused by changes in snow and ice cover or in planting schedules. The scientists noticed some interesting patterns. East Asia saw a larger increase than any other region, mainly because of rapid urbanization, expanding suburbs, and the growth of transportation networks in China. Note that the spread in bare ground did not necessarily track with population increase. While India and many African countries, for instance, saw populations rise significantly, these areas did not experience a large increase in bare ground. 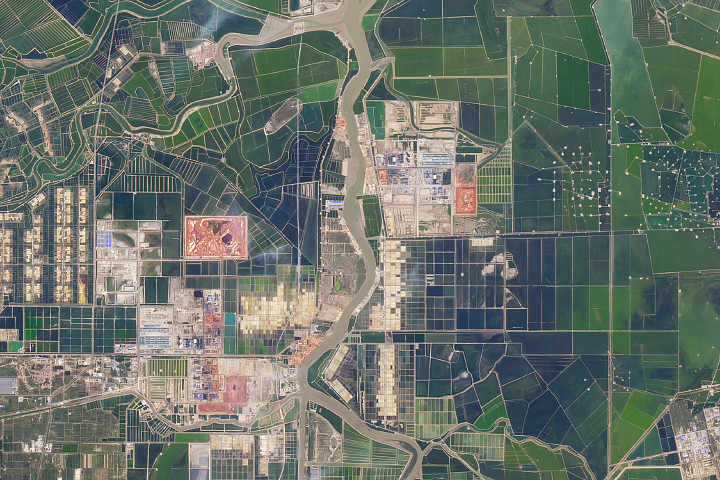 Notice how clearly new roads stand out in the map of southeastern China. Several cities in the Pearl River Delta and near Fuzhou have grown rapidly, requiring major investments in transportation. After China, the United States was the country that saw the second biggest increase. Whereas new transportation stood out as a major driver of bare ground in China, resource extraction—including gas and oil development and mining—stood out in the United States as a key cause for the increase. Both countries also saw major increases as cities and suburbs expanded. 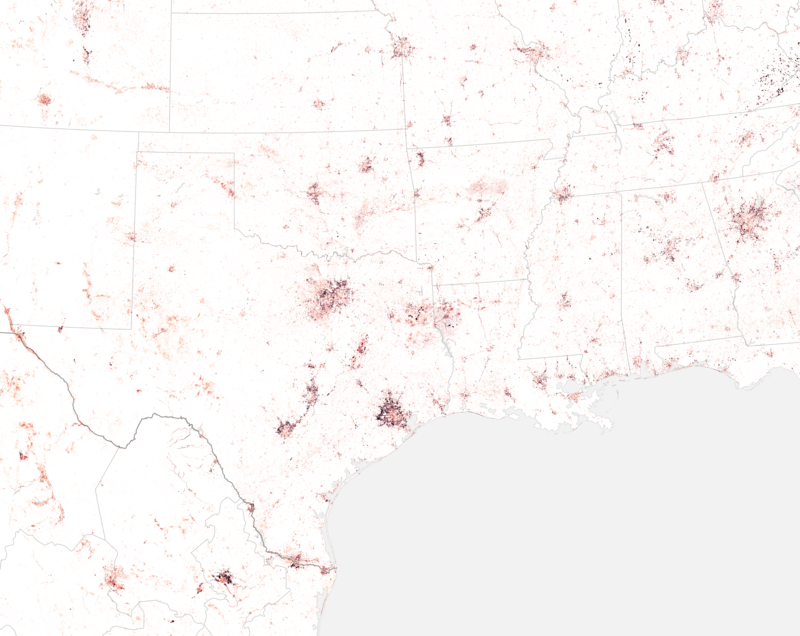 In the map of Texas and Louisiana, notice the bare ground gain in the suburbs around Houston, San Antonio, and Austin. There were also major areas of change in rural areas because of new extraction activities in the natural gas and oil plays of southeastern Texas. 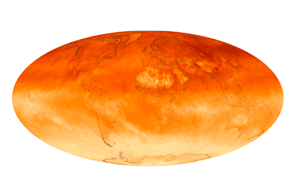 NASA Earth Observatory images by Joshua Stevens, using data from Ying, Qing, et al. (2017). Story by Adam Voiland. China and the United States lost more vegetation—mainly to spreading urban and suburban areas, new transportation networks, and energy production—than any other countries between 2000 and 2012. 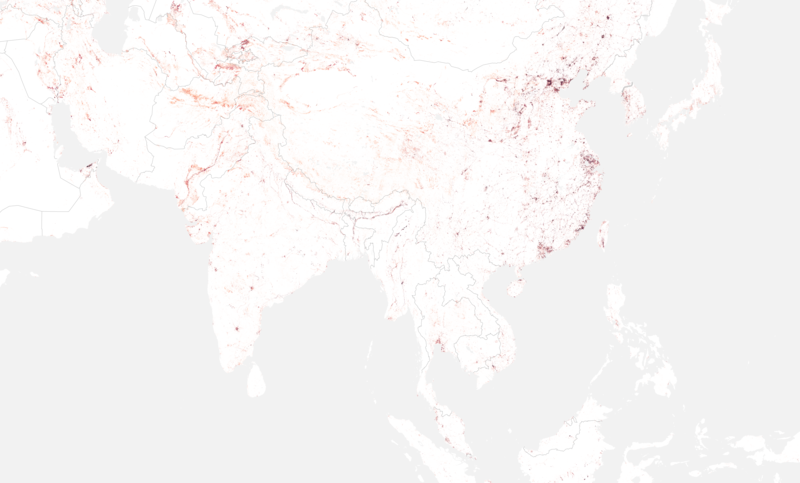 The Economist (2015, January 22) The great sprawl of China. Accessed September 25, 2017. The World Bank (2016) East Asia’s Changing Urban Landscape: Measuring a Decade of Spatial Growth. Accessed September 25, 2017. The World Bank (2016) Urban China : Toward Efficient, Inclusive, and Sustainable Urbanization. Accessed September 25, 2017. U.S. Energy Administration (2017) Maps: Exploration, Resources, Reserves, and Production. Accessed September 25, 2017. U.S. Energy Administration (2017) Texas Natural Gas Gross Withdrawals from Shale Gas. Accessed September 25, 2017. 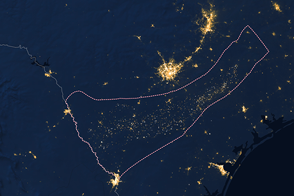 U.S. Energy Administration (2017) Where our Natural Gas Comes From. Accessed September 25, 2017. Ying, Q. et al. (2017) Global bare ground gain from 2000 to 2012 using Landsat imagery. 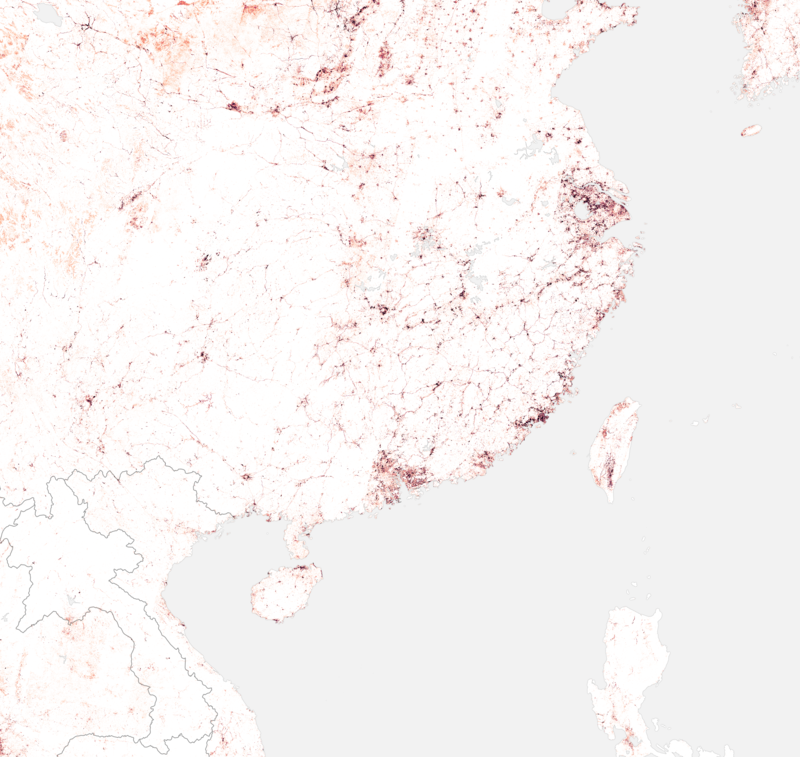 Remote Sensing of the Environment, 194, 161-176.